Wastewater Organisms contains 210 high-quality full-color micrographs to help you identify organisms found in sewage and sludge. These photos provide the maximum level of detail and will help you better understand the form and dimension of the organisms. 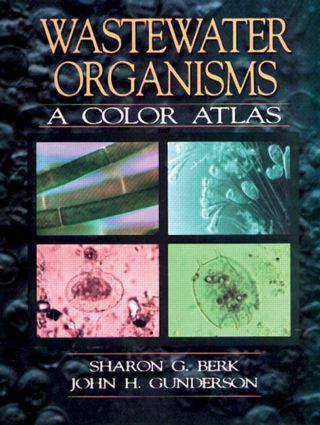 Subjects depicted in the micrographs include bacteria, eggs, amoeba, parasitic protozoa, tardigrada (water bears), rotifers, ciliates, parasitic helminths, pollen grain, free-living nematodes, algae, flagellates, and more. There is a chapter on enumeration which provides literature and techniques for fixing and staining, techniques often required for identification to the species level. The book also contains a valuable glossary and index to make the book even easier to use. Wastewater Organisms is an indispensable reference for wastewater managers and supervisors, wastewater operators, environmental consultants, practicing engineers, regulatory agency personnel at all levels of government, and libraries. Treatment Processes and Organisms. Observation and Enumeration of Organisms. Photographs and Captions for Organisms.